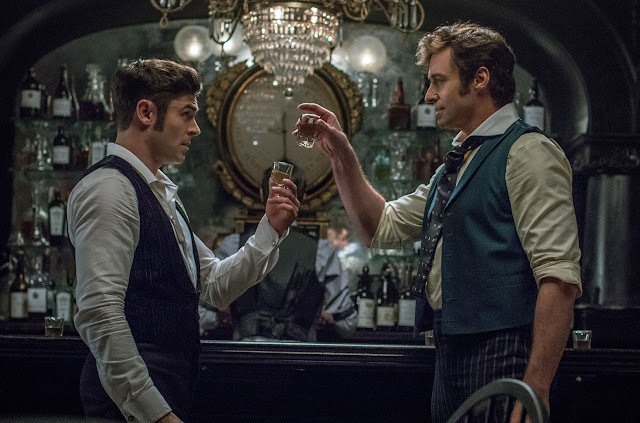 The Greatest Showman’s soundtrack recorded its most sales in a week, as it was at the top of the Official Album Charts for the sixth time. The movie was recently nominated for the Oscars, and features star such as Hugh Jackman, Zac Efron and Keala Settle. Of the 51,000 sales in a week, the most for the movie’s soundtrack so far, 70 percent were digital downloads and physical purchases. The album is followed by Ed Sheeran’s ‘÷’ at number 2, which has been outsold three to one, and which enjoys its 50th week in the top 10. At number 3 is the album ‘Beautiful People Will Ruin Your Life’ by The Wombats, this week’s highest new entry. This is the joint highest position for the band, having previously occupied the spot back in 2011, with their album ‘This Modern Glitch’. However, the top spot in this week’s Official Vinyl Album Charts is claimed by the ‘Beautiful People Will Ruin Your Life’. There are two more entries in the Top 5, as ‘Diamond In The Dirt’ by Mist comes in at 4th. This is the highest position ever for the Birmingham rapper in the Official Chart. ‘Tables Turn’ a mixtape by Fredo, who’s from London, is the new entrant at 5th. The Number 6 spot is occupied by ‘Always Ascending’ by Franz Ferdinand, which is their fifth consecutive appearance in the UK Top 10. Meanwhile, ‘Sleepwalkers’ by The Gaslight Anthem was the new number 15. The album is the Brian Fallon’s, the band’s lead vocalist, second album in a row to feature in the UK Top 20. At number 18 is ‘Who Built The Moon’ by Noel Gallagher’s High Flying Birds. The album climbed 10 places in UK Top 40. Following Kendrick Lamar’s UK tour in the past week, ‘DAMN.’ by the infamous rapper rose 14 places to Number 21. Other developments in the Top 40 include; ‘As You Were’ by Liam Gallagher climbed nine place to Number 24, ‘Little Dark Age’ by MGMT, and the best-selling album of all time in the UK, ‘Queen’s Greatest Hits’ at number 40.